Adam Lucio has a passion that fits perfectly in the category ‘adventurous dream jobs’. 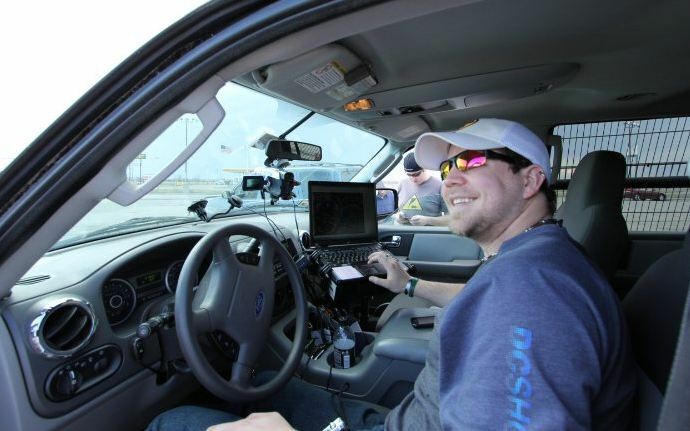 The 32 year old from Chicago has been a professional storm chaser since the age of 22 and there’s nothing in the world he’d rather do. Violent weather, calculating risks and never knowing where you’re going to end up, are all part of the game. Although near escapes happen every now and again and are part of the risks of storm chasing, it’s rare that something goes tragically wrong. It did however happen last year. A good friend of Adam, professional storm chaser Tim Samaras, his son Paul Samaras and their teammate Carl Young died during the chase of a violent and extremely unpredictable wide tornado in Oklahoma City, in the spring of 2013. 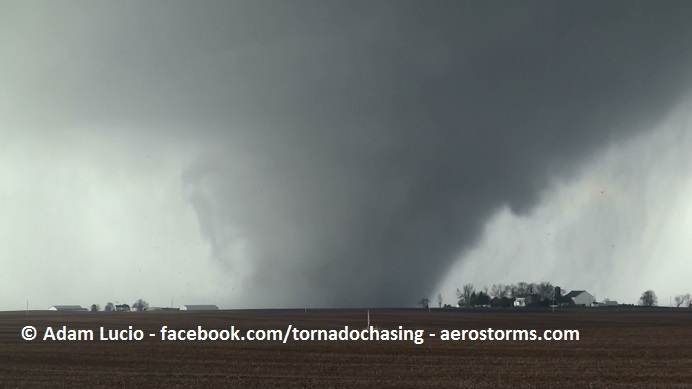 An event that shook the storm chasing community. If you want to read more about Adam and storm chasing, please check out his official website www.aerostorms.com! Categories: Dream Jobs, Interviews | Tags: Adam Lucio, Chicago, Discovery Channel, Sean Casey, storm chaser, TIV | Permalink.